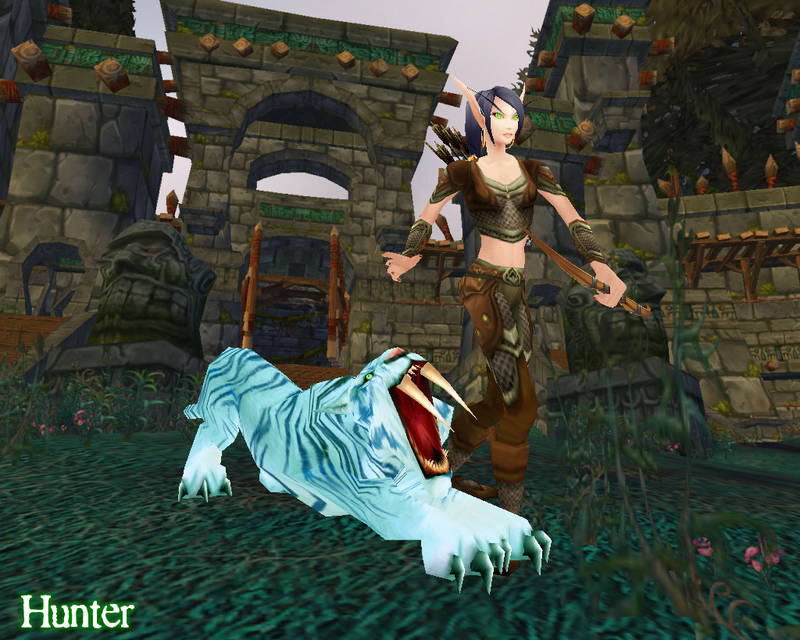 If Tanwen Were Another Class… « It's For My RP Spec! 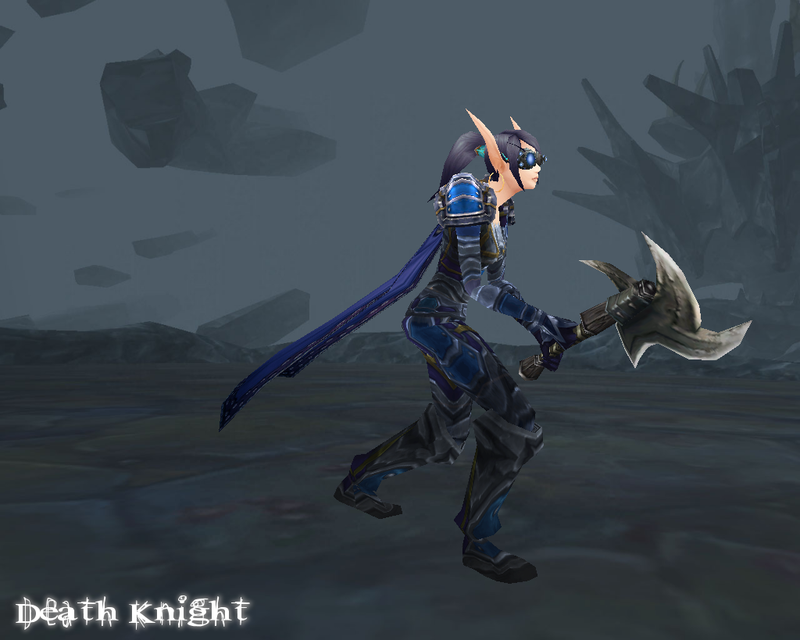 Tanwen plays… a Death Knight. For DKs, I think blues, blacks, and silvers. Full-coverage armor and huge two-handers. 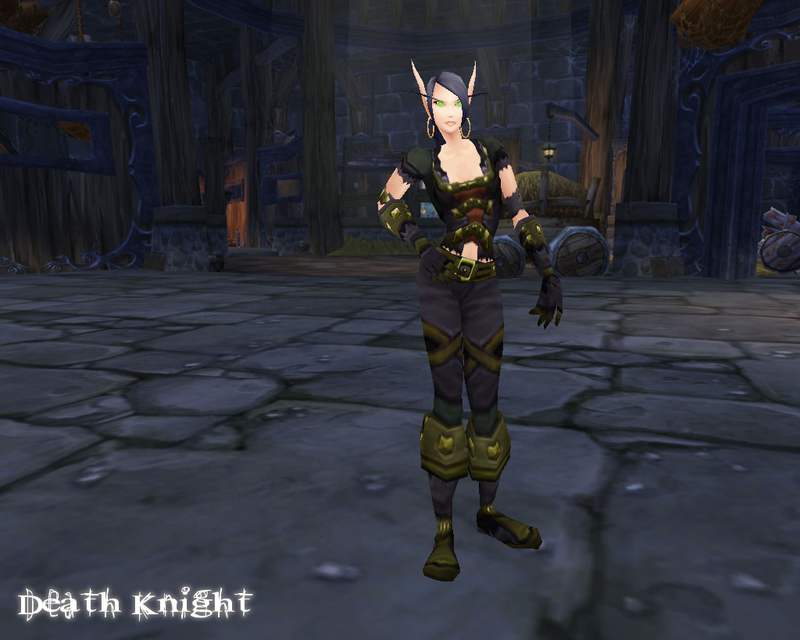 And a cloth DK-inspired ensemble. For Druids, I think earth tones; browns, tans, greens, some grey. Bare feet are completely acceptable. Anything with feathers, fangs, or antlers is a go! 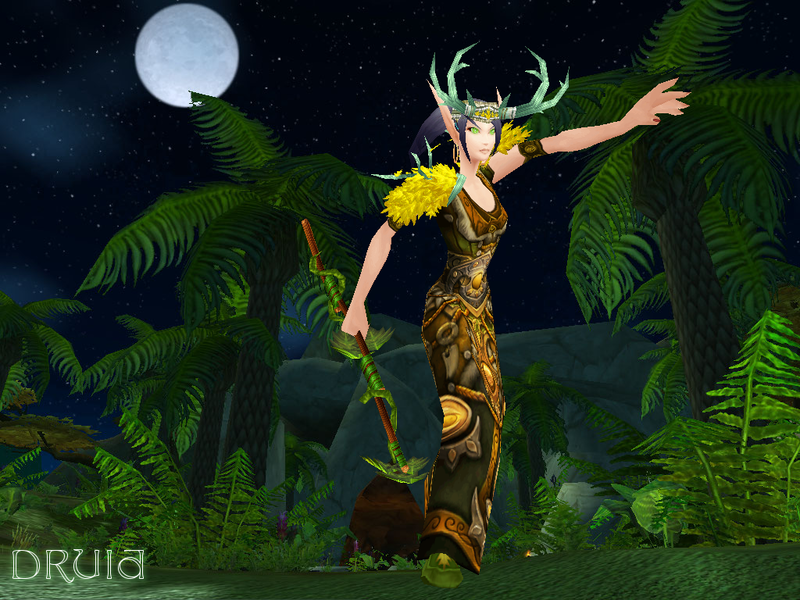 And a cloth Druid-inspired ensemble. For Hunters, I like browns and greens. Leather is preferred over mail, but that is simply an RP preference. 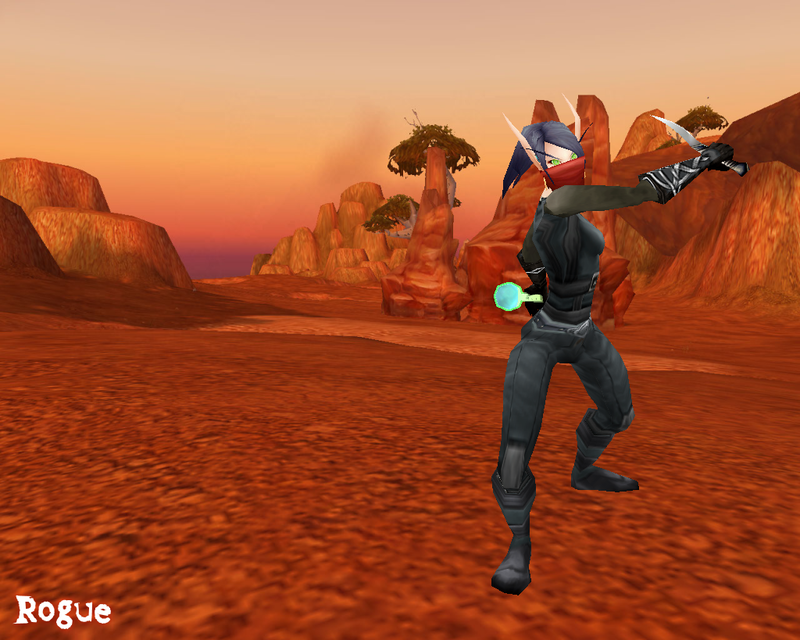 No gloves, only bracers to simulate an arrow guard. Simple, functional armor with compact bows. I do not like guns or crossbows. And a cloth Hunter-inspired ensemble. 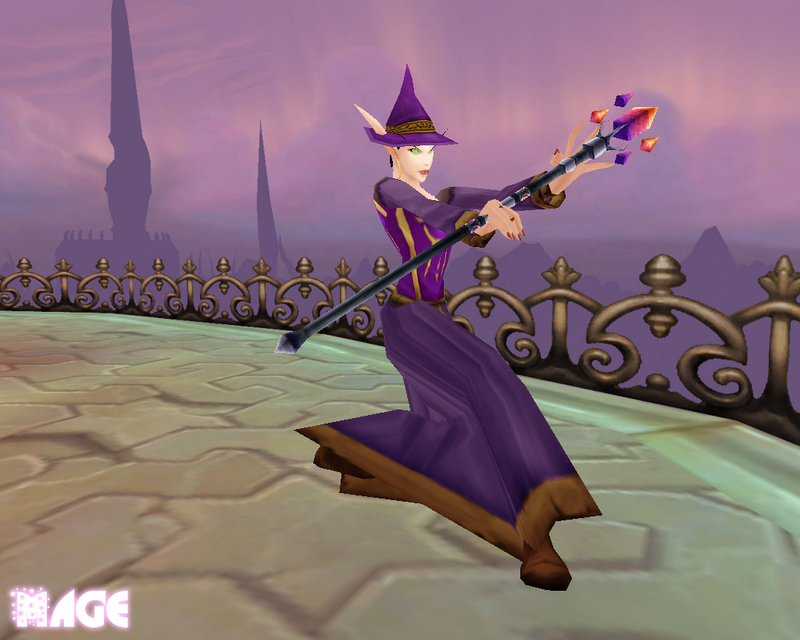 Mages inspire me with reds and purples, bright colors and flashy staves. 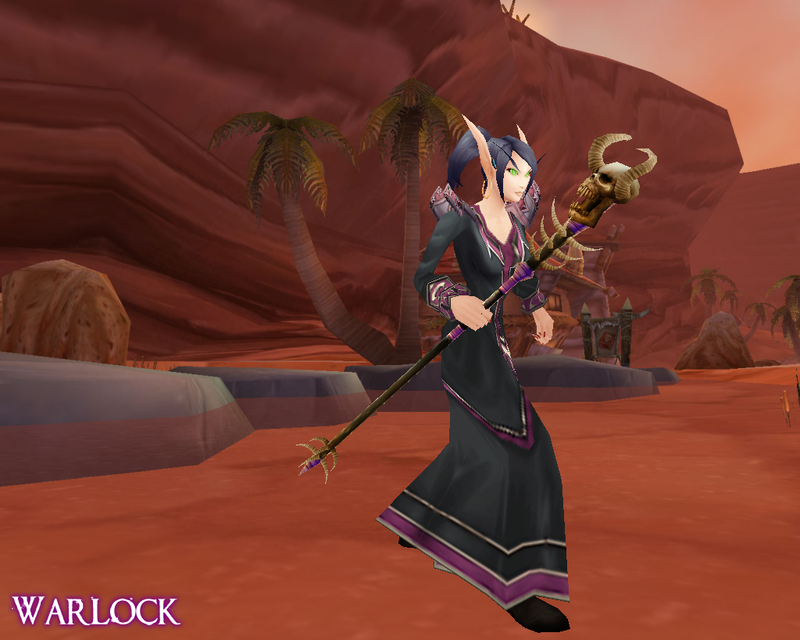 Obviously Mages wear cloth, so no cloth version needed! Paladins have two very different sides: the Blood Knight and the unyielding wielders of Holy Light. Blood Knights are reds and blacks, while their Alliance counterparts are golds, blues, and whites. Maces and shields are my typical choices. And like all plate armor, many of the choices look like steel bikinis. 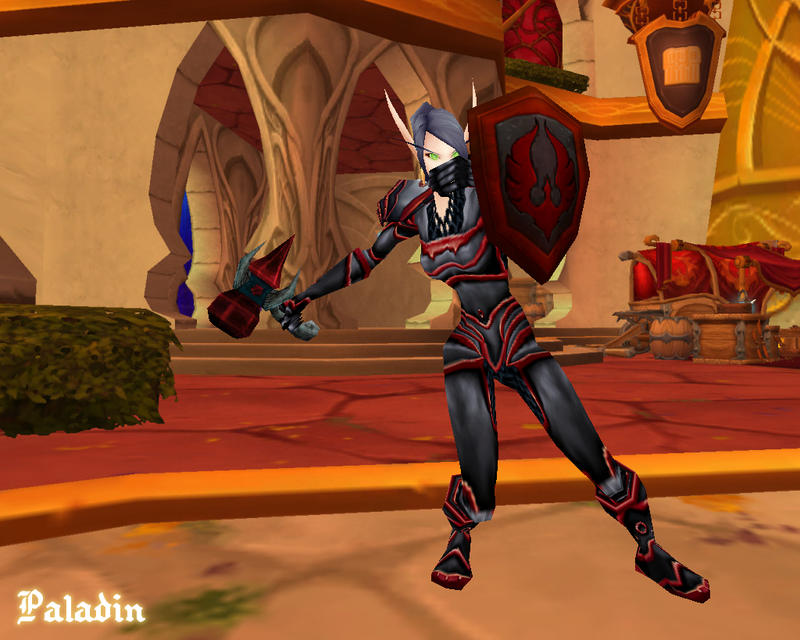 And a cloth Paladin-inspired ensemble. The ultimate in silent assassination, rogues are blacks and silvers, sometimes red or blue. 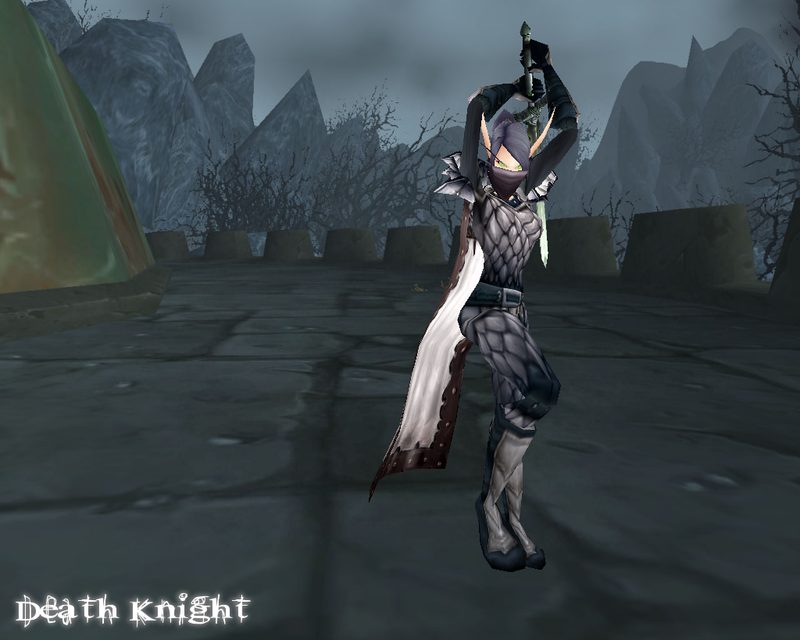 Daggers are definitely my weapon of choice, along with anything evoking their skills in poison. And a cloth Rogue-inspired ensemble. 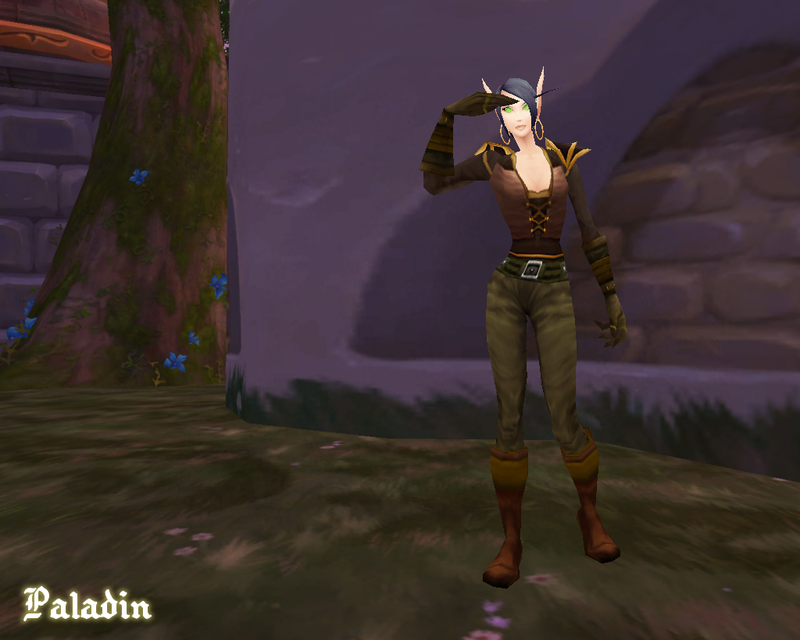 Note: my human version of Tanwen wore a variation of this outfit to a Hallow’s End party and won third place in their costume contest, if only for the fact that it mimicked leather so well. Shamans wear kilts. I just want to put that out there. Kilts, sandals, harnesses, all in earthy tones with bright accents. 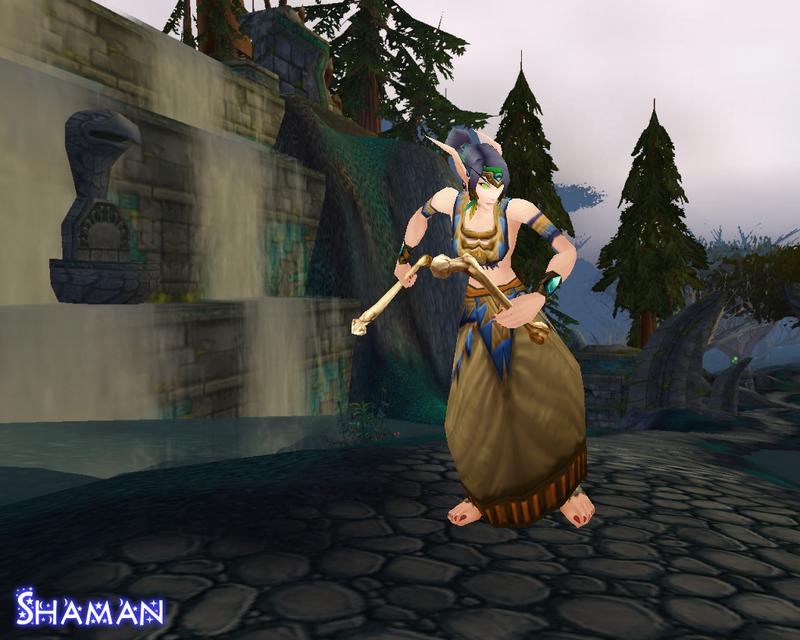 And a cloth Shaman-inspired ensemble. Note: the chestpiece shown here is from a Horde-only quest. 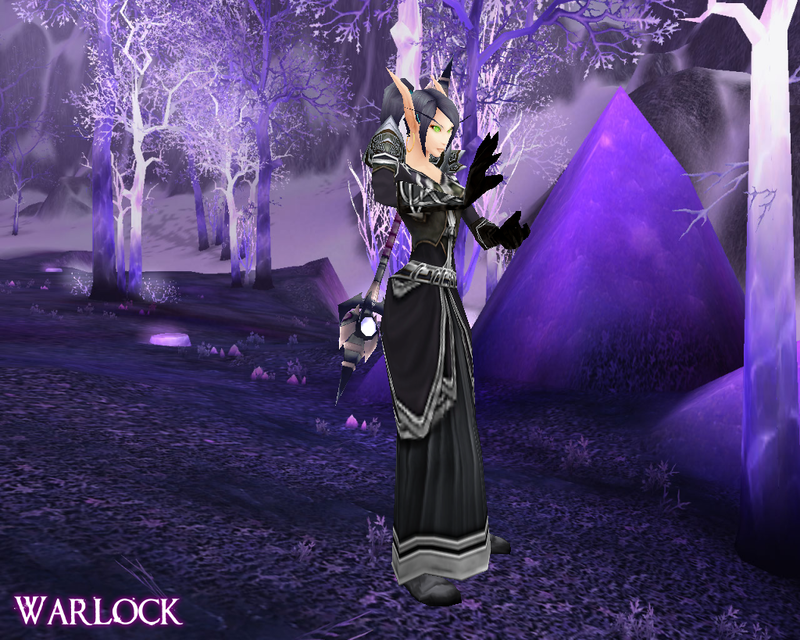 Blacks and purple definitely fit warlocks, with a smattering of reds when needed. Staves or daggers are preferred to swords. 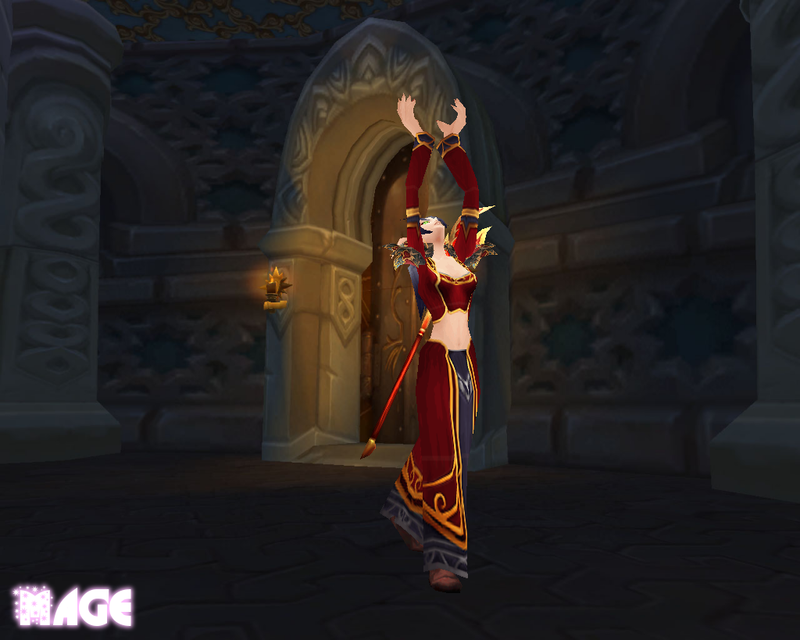 And as with mages, no cloth version needed! I typically try to find full-coverage armor for my warrior but sometimes the plate bikini syndrome strikes. 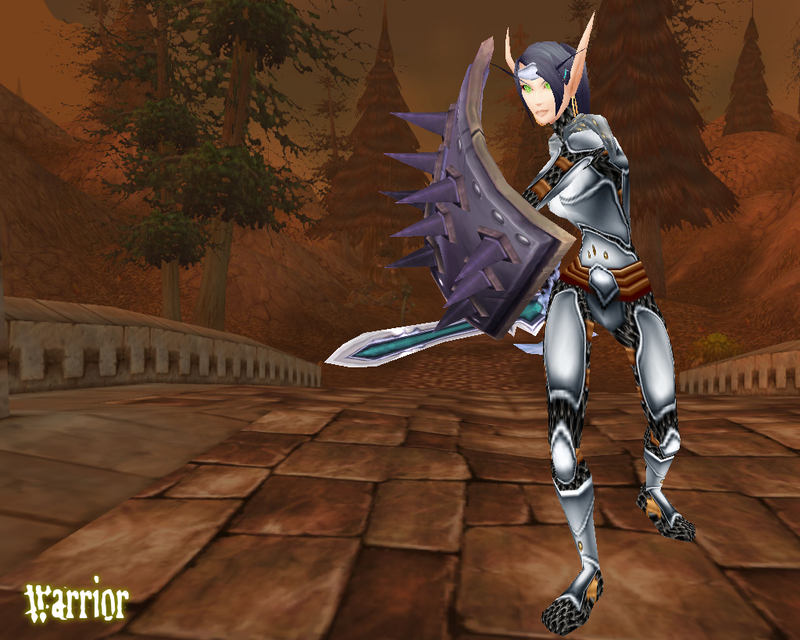 Nevertheless, darker metal armor types fit my idea of a warrior best and wielding a sword and board is a must. And a cloth Warrior-inspired ensemble.